One of the most significant events that took place at this month's meeting of the World Intellectual Property Organization (WIPO), that EFF attended, wasn't part of the meeting's formal agenda. It came at a side-meeting organized by the International Federation of the Phonographic Industry (IFPI), an affiliate of the Recording Industry Association of America (RIAA). At that meeting, IFPI panelist David Price made the startling admission that copyright infringement is no longer the recording industry's biggest concern. 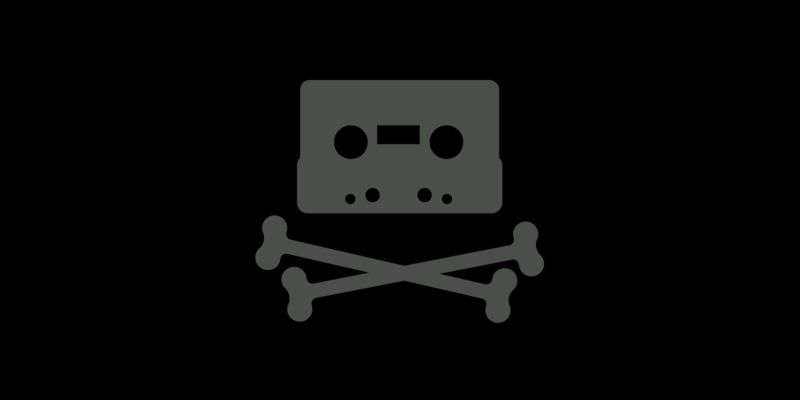 Apparently, the industry's biggest concern is no longer those who distribute music illegally for free. It's platforms like YouTube that do pay copyright holders, but don't pay enough. According to the IFPI, YouTube's reliance on the U.S. DMCA and Europe's E-Commerce Directive to allow it to host user-uploaded music videos has created a "value gap" that deprives the recording industry of royalties they believe should be theirs. The sudden elevation of this supposed "value gap" above the bugaboo of piracy is all the more surprising because term didn't even exist until about 2016, when it was created out of whole cloth as a device to explain why copyright holders should be entitled to a larger slice of Internet platform revenues. Interestingly, Price and his co-panelists at the WIPO event admitted that there ought to be free music services for those who don't wish to pay. Currently, YouTube provides this free service for millions of users around the world. It pays royalties to copyright holders for doing so, even for user-uploaded content, where the copyright owner can be identified using ContentID fingerprint matching. (The law doesn't require YouTube to do this, although plans are afoot in Europe to change this.) ContentID has serious problems, including imposing advertising and monetization on critical videos that are clear fair uses, against the wishes of video creators. But in the right circumstances, it also provides an important revenue stream for recording artists. The record labels' contention is that YouTube streaming depresses the rates that subscription-based music streaming services, such as Spotify, are willing to pay for streaming licenses. That's an interesting theory, but research released by Google casts significant doubt on it. At least according to the Google-sponsored research, YouTube actually diverts users not from other paid services, but from infringement. Were YouTube to go away, 85% of views would simply disappear, or would move to lower-value alternatives such as illegal file sharing. Just as the entertainment industry's war against "piracy" harmed users, through the ratcheting up of enforcement measures and the banning of technological tools, so too the new war against user-generated content platforms will also have harmful effects. That's because the legal foundation of user-generated content platforms, the copyright safe harbor that lies at the heart of the DMCA's Section 512 and the E-Commerce Directive, doesn't only facilitate the sharing of music, but also all of the other speech and innovation that happens on those platforms. Entertainment industry-driven attacks on that foundation, such as Europe's mandatory upload filtering plan, and proposals to replace Section 512 in the U.S. with a filtering mandate, could have significant negative impacts on the viability of online content platforms, and on the rights of their users. The greatest impacts will be on platforms that are much smaller than YouTube, and on new entrants. During IFPI's presentation, we asked them directly about the desired "end game" of their opposition to the safe harbor protections that YouTube and similar platforms enjoy. While they denied that their goal was to dismantle copyright safe harbor protection altogether, there was no doubt that they are serious in their intent to prevent YouTube from taking advantage of it. That inevitably means eliminating the DMCA and E-Commerce Directive safe harbor rules that millions of other websites, both commercial and noncommercial, rely upon today, and replacing them with mandatory filtering rules. It's all rather ironic given that the IFPI acknowledge how streaming services, including YouTube, have led the recording industry to a resurgence of profitability in the past two years. If safe harbor rules have now eclipsed infringement as the biggest threat to the recording industry, and the industry can still earn record profits even so, it's difficult to see how scrapping those rules could possibly be warranted.